1. Time: I, like many in Toronto, work like a dog. And after a long day I am rarely inclined for a night on the town. 2. Budget: If I were to visit every hot spot in Toronto, I would need a second job. And that would constrict on my time even more. 3. Priorities: With so little time to spend with my loved ones, I’d rather spend my weekends with my friends and family and unfortunately, most of them live outside the city. But then I stumbled upon this gem “Toronto Urban Strolls… for girlfriends: The girlfriends-tested guide to 28 exciting walks in Toronto,” and I became inspired. It seems Toronto has some great experiences that do not come at a high price tag. Since living in Toronto I’ve been under the misguided notion that the delights of a calm stroll are inaccessible in a city that is always so thriving. 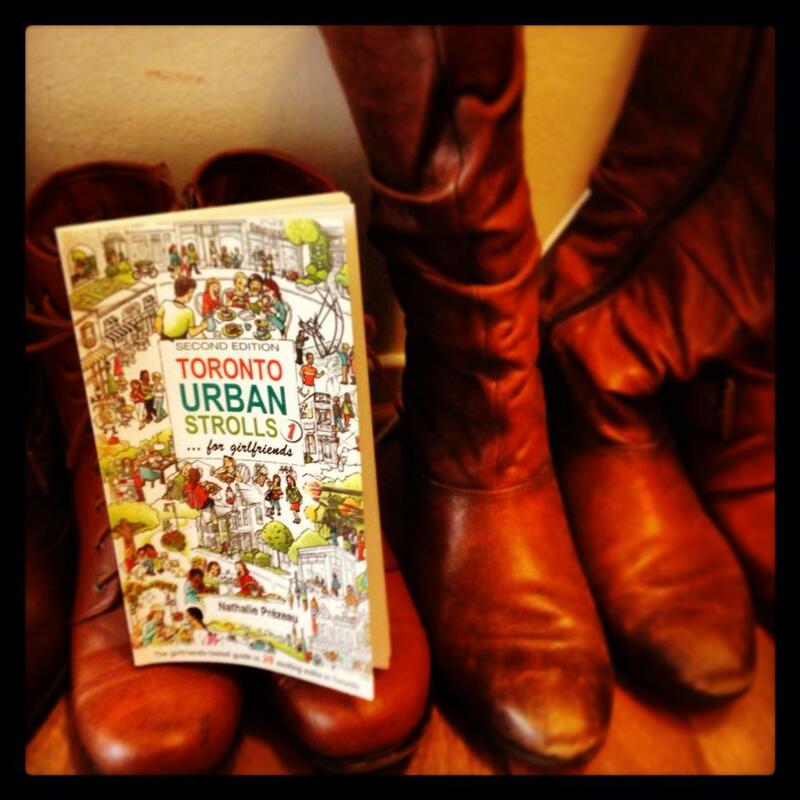 As the title suggests, the book outlines 28 walks in the city. I love to walk! I don’t need music or any destination. I just love to see, hear and move. So, by taking this book as my lead, I am hereby commencing a series of blogs on amazing strolls in Toronto. For the next month, I will post at least one amazing Toronto walk a week. First up: High Park. This entry was posted in Commentary, Randomness and tagged High Park, Toronto by hollypost. Bookmark the permalink. What a great book! I wish you luck – it may be a little cold next week! I wonder if there are any ‘indoor’ walks for the cold months!